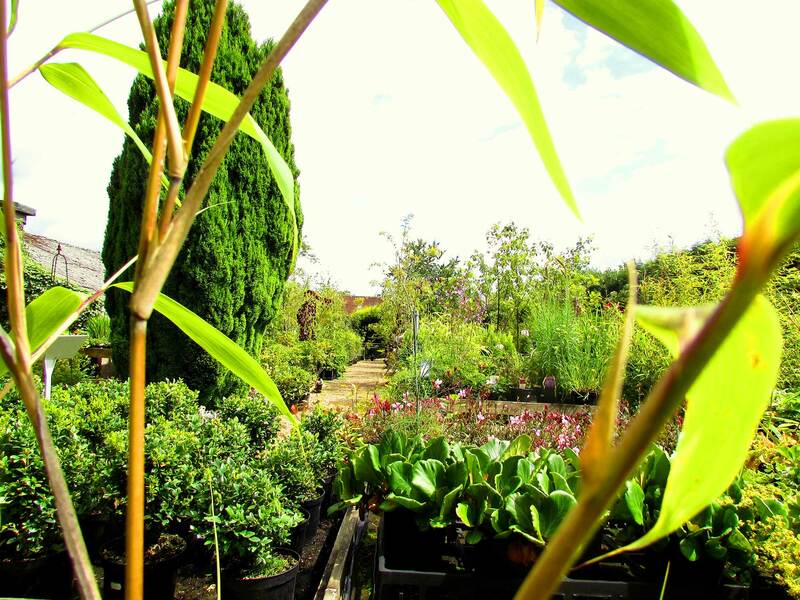 Nestling in the lovely Kent countryside, just a few miles outside Sevenoaks on the B2042 at Goathurst Common, you’ll find Newlands Nursery – 2½ acres of plants and trees, many of which have been grown in our own nursery. 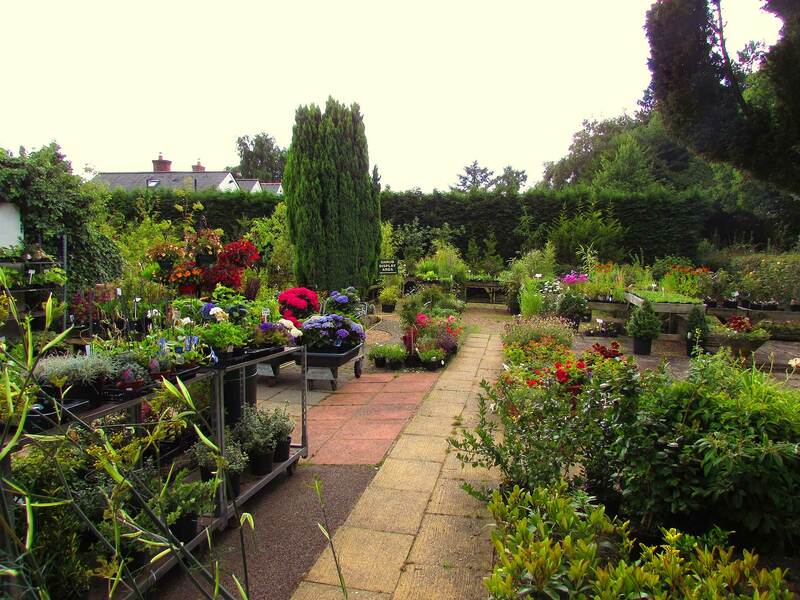 Outside you can browse a wide range of seasonal bedding, herbaceous perennials, shrubs, bushes and trees – all grown to a high standard. Inside we have tools, accessories, seeds, fertilisers and more – in fact everything you’ll need for caring for the plants in your garden. We are also famous for our Christmas Trees. Visit our unique “You Pick, We Dig” plantation of growing fresh Christmas trees. So go on, pay us a visit! There is plenty of parking, with friendly and knowledgeable staff to assist you. We’ll even help you with loading heavy items into your car! We grow hundreds of plant varieties here at Newlands. Many are home grown from young plants and seedlings in our greenhouses and polytunnels. Useful as architectural plants, shrubs provide shape and structure to your garden all year round. 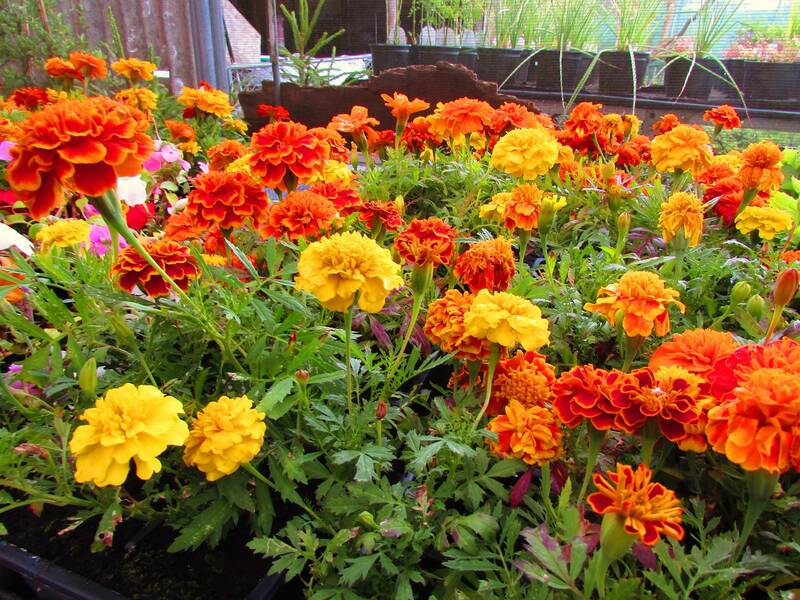 We have many flowering and foliage varieties; sun and shade loving in all shapes and sizes. Also conifers (dwarf & hedging) and bush, climbing and shrub roses. These frost resistant plants die back each autumn, and reappear the following spring providing a good display over several years. Low growing alpines and rockery plants are also available. Buy these singly in pots or in multiples in trays. 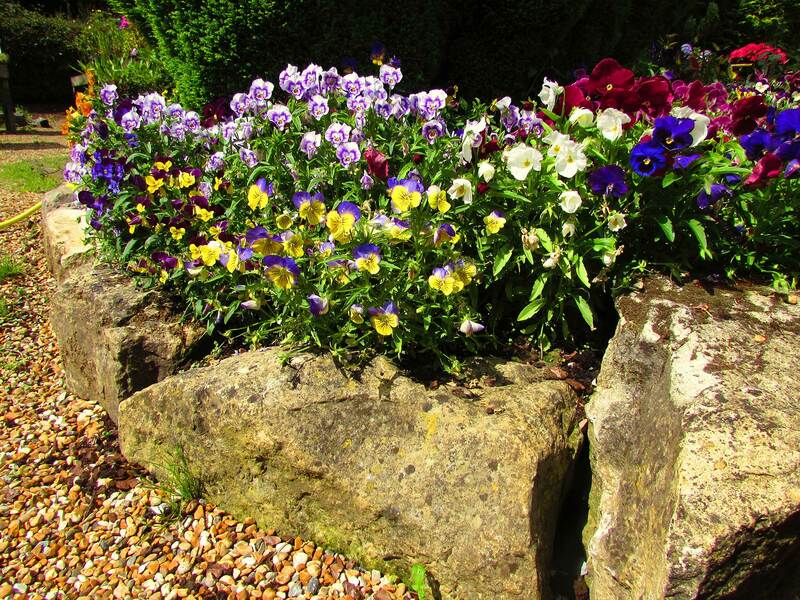 Bedding plants provide instant colour for your containers, hanging baskets and borders. 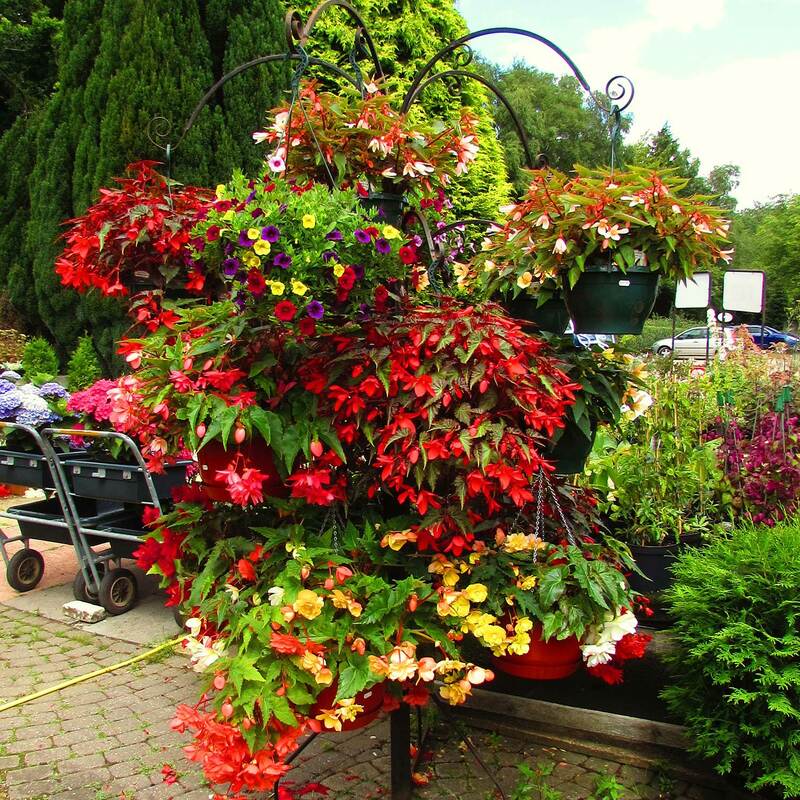 Available for spring, summer and autumn colour – popular varieties include Pansies, Petunias, Geraniums, Fuchsias and Trailing Begonias for every situation. Food always seems to taste so much better if you’ve grown it yourself! Not to mention the health benefits of including plenty of fruit & veg in your diet. 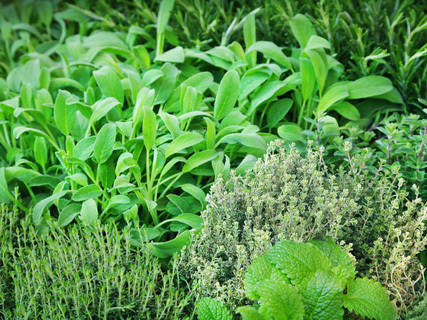 You will find a wide selection of vegetables and herbs available for home growing in both seed and plant form, such as seed potatoes (from January), onion sets and shallots. Also tomatoes, cucumbers, peppers and lettuce. Ornamental Trees – such as Acer, Betula, Fagus, Malus, Prunus, Sorbus and many more. Fruit Trees & Bushes – such as Apple, Cherry, Pear and Plum; Blackberry, Black & Red Currant, Gooseberry, Grape and Raspberry. During late spring we offer a selection of hanging baskets and patio containers already made up from our range of seasonal bedding. Made up planters are also available for the festive season. With over half the site being devoted to Christmas Tree cultivation you’re bound to find a tree to make your Christmas special. Our unique “You Pick We Dig” service is available from the end of November each year and makes a fun seasonal outing for the kids. Also we always have a good selection of cut Norway Spruce and Nordmann Fir (Needlefast) available. 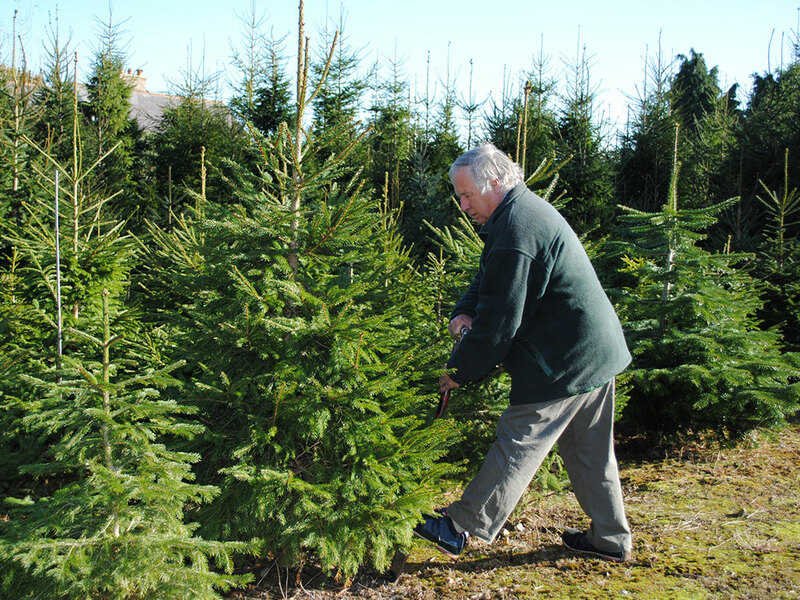 Or you can choose one of our container grown Christmas Trees from 2ft to 5ft – we have hundreds to choose from. 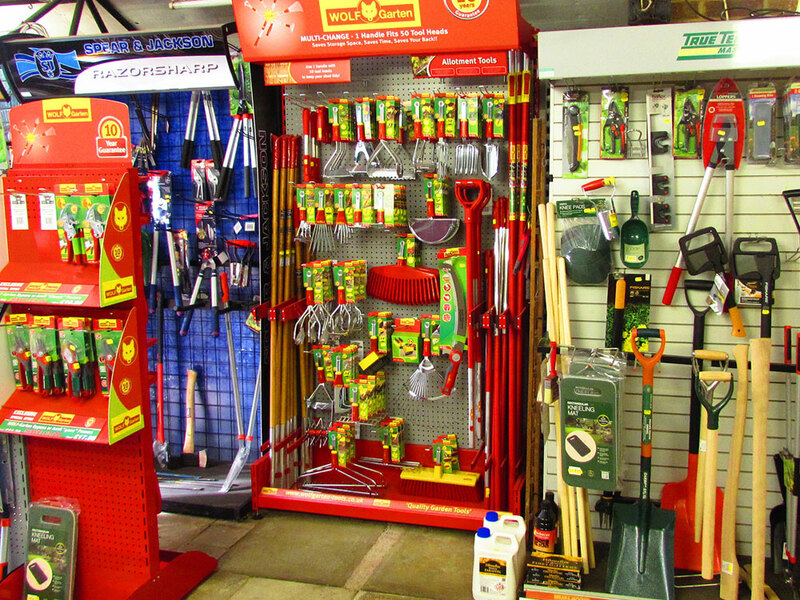 You’ll find plenty of garden tools from Wolf , Wilkinson Sword and Spear & Jackson in our shop, together with all your gardening accessories; garden watering from Hozelock and much more. And if you’re looking for the perfect gift for a gardening enthusiast you’ll love our Briers Traditional Range of gloves, wellies and garden clogs! 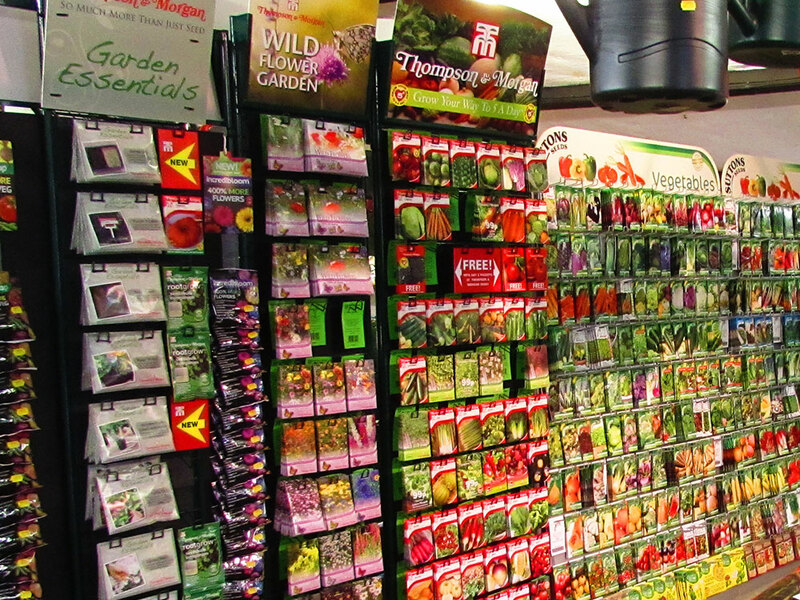 We stock a comprehensive range of Suttons and Thompson & Morgan seeds – including vegetables, herbs, flowers and wild flowers. We also stock O A Taylor & Sons spring & summer flowering bulbs. 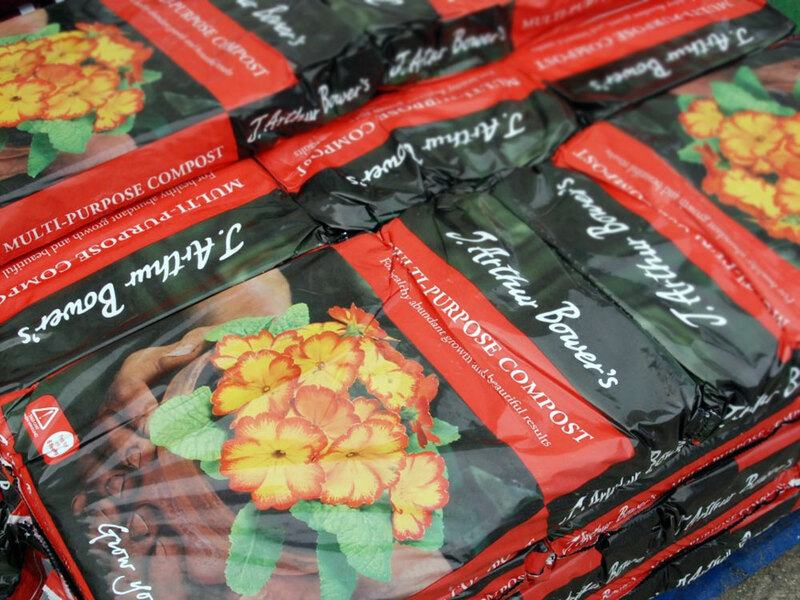 If you’re looking for growth and nutrition, you’ll find what you need in our extensive range of composts from J. Arthur Bowers and Westland, including multipurpose, peat free, ericaceous and John Innes. Also Gro-bags, sands and grits. And look out for regular offers on multi-buy purchases on popular products. Our specialist Oak Tubs are bespoke made from decommissioned oak whisky barrels. Ideal as patio tubs or water butts, these impressive containers make an excellent focal point in any garden. We always have plenty of pots and containers in various materials and sizes in stock. 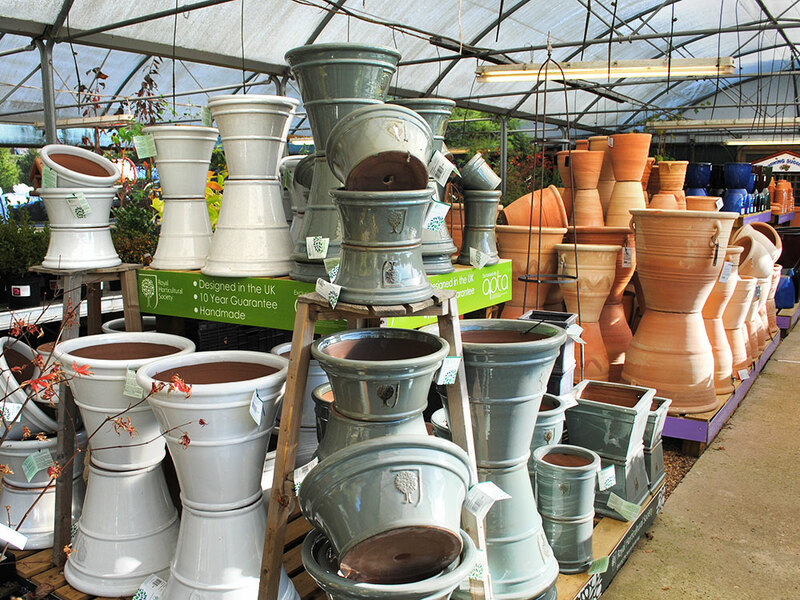 We are APTA Terracotta Pot Stockists and we also carry plastic garden pots and excellent value plastic water butts. 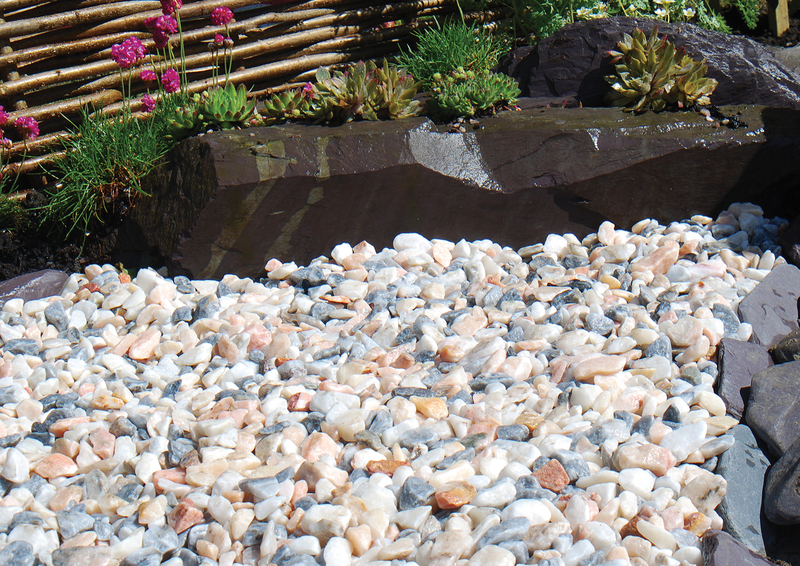 Put the finishing touches to your garden design with decorative chippings or gravel. We are stockists of Meadowview Stone Products. There’s plenty on offer for your feathered friends too! We are stockists for Copdock Mill wild bird food mixes, peanuts, suet or fat balls, and mealworms. 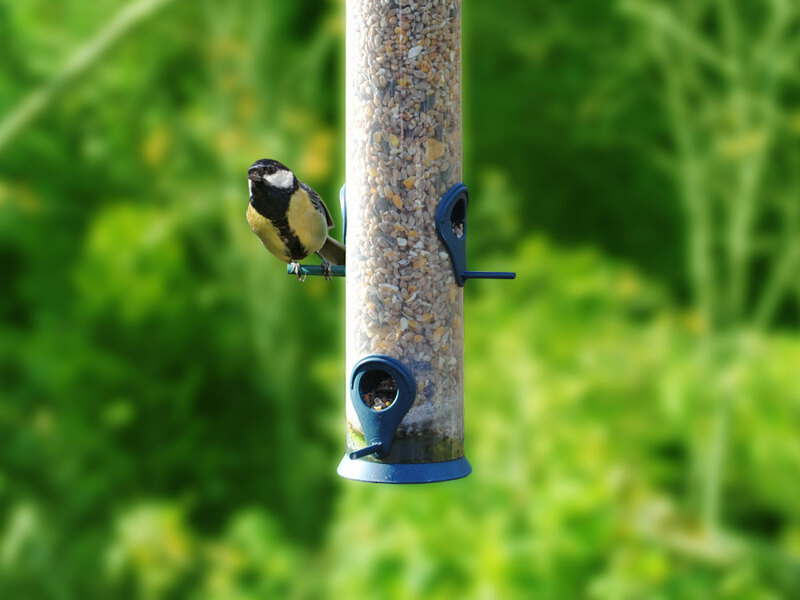 Our large selection of bird feeders and bird tables will attract birds to your garden. Be sure to stay warm this winter and stock up with fuel for your fire or woodburner. We carry a range of bagged fuels including house coal, smokeless, seasoned logs, kindling and firelighters, and genuine E.Co English Charcoal. 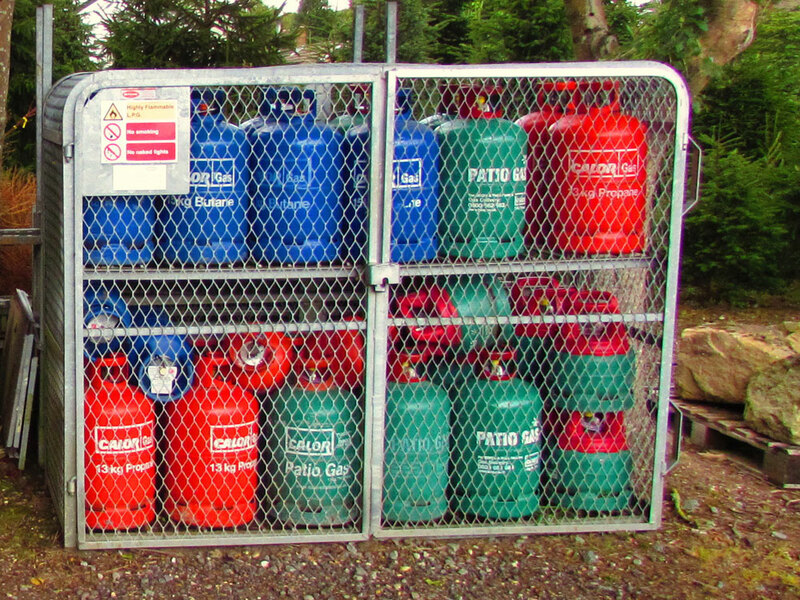 We’re also Calor Gas® Stockists, open 7 days a week, so if you get caught out for your weekend BBQ, you know where to come! Don’t want to post heavy items long distance? Or can’t decide what to buy your loved one for Christmas, Birthday or Anniversary? No problem! 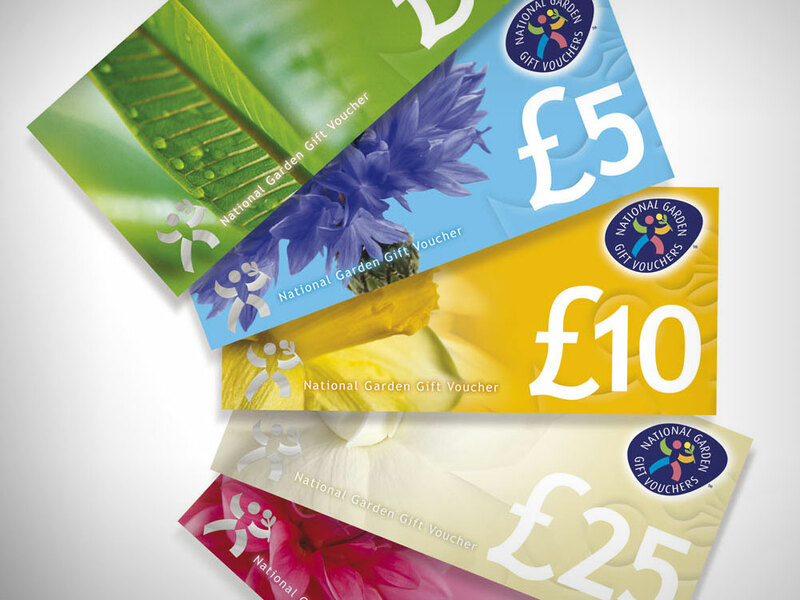 Try a National Garden Gift Voucher, available in £5, £10, £25 or £50 denominations, you can buy or redeem these in our shop. We are members of The Horticultural Trades Association.